• The African Aviation Tribune •: ■ SENEGAL: South Africa pledges to develop Dakar as a regional hub; to help set up new MRO facility. According to Mr Zuma, South Africa's Industrial Development Corporation (IDC) will assist Senegal in the building of the facility though in what capacity, is unclear. In addition, Senegal and South Africa will pursue the establishment of an MRO facility at the airport, capable of meeting West Africa's demands. 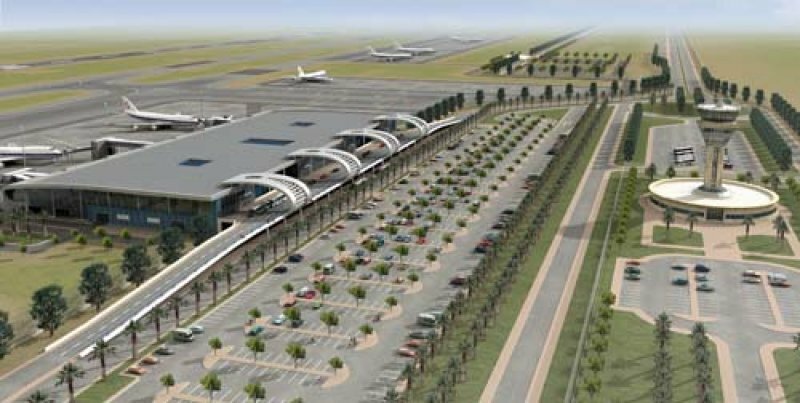 Owing to its strategic positioning, Dakar has been used, and will be used again, by South African Airways (SA) as a transitory stopover on flights to and from the US and hence it is therefore conceivable that SAA Technics would be chosen as the strategic partner for the establishment of the proposed maintenance facility. South African lessors too have a strong presence in the country with both ACMI specialists Solenta Aviation and CEM Air having been involved at one time or another with Senegalese national carrier, Senegal Airlines (DN). The establishment of an MRO facility in the region has long been on the cards at both public and private levels. In May this year, the Economic Community of West African States (ECOWAS) of which Senegal is a part, said it was carrying out feasibility studies for the possible construction of an aircraft Maintenance, Repair and Overhaul (MRO) facility to serve the region, so as to help offset the costs to local carriers of sending their aircraft abroad to Europe and the US. Arik Air (W3) has also outlined plans for the development of its own dedicated MRO hangar at Lagos Murtala Muhammed International Airport with Lufthansa (LH) as a partner.